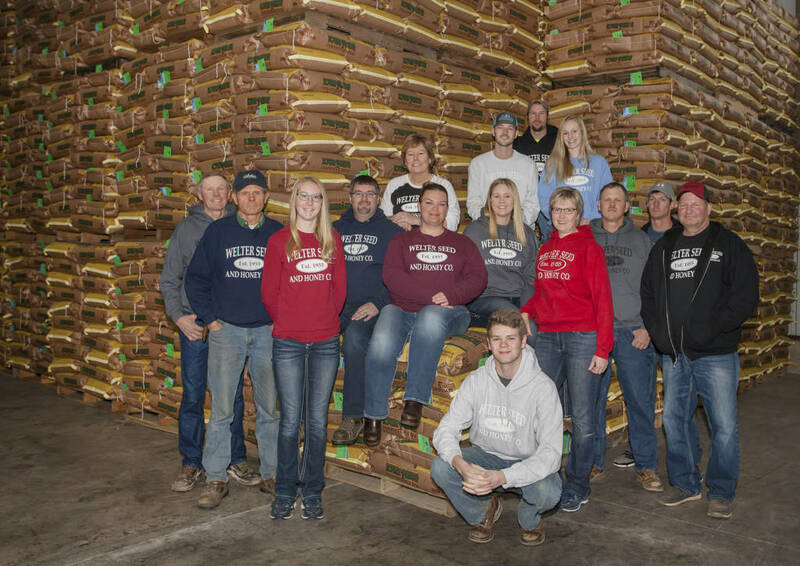 Welter Seed and Honey Company is a family-owned seed business offering a wide variety of agricultural seed. We offer one of the widest selections of forage seed for both organic and conventional farmers. Our company was founded in 1955 by Herman and Veronica Welter and is operated by the Welter Family. We have a 60-year tradition of offering quality seed at a fair price. You can give us a call and speak to one of the Welter’s or one of our staff to help you make your seed decisions. We take great care and pride in assisting our customers with their seed needs. Please browse through our seed catalog for more information on our seed varieties, planting rates, and other helpful information. We are located on Highway 136, 6 miles north of Onslow or 9 miles south of Cascade. Click the pin below to get directions. Use the form below to contact us with any questions or comments you may have. All fields are mandatory.